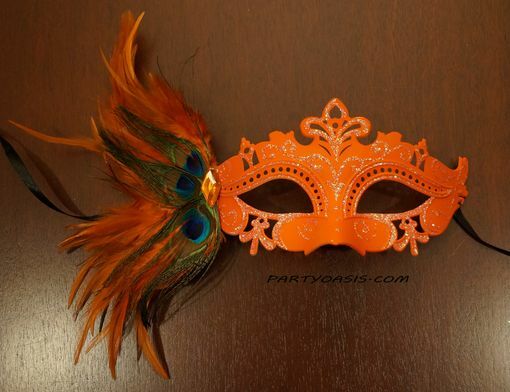 Tiffany masquerade mask perfect for a masquerade themed party! Cut to create intricate design, adorned with feathers. Color Orange.